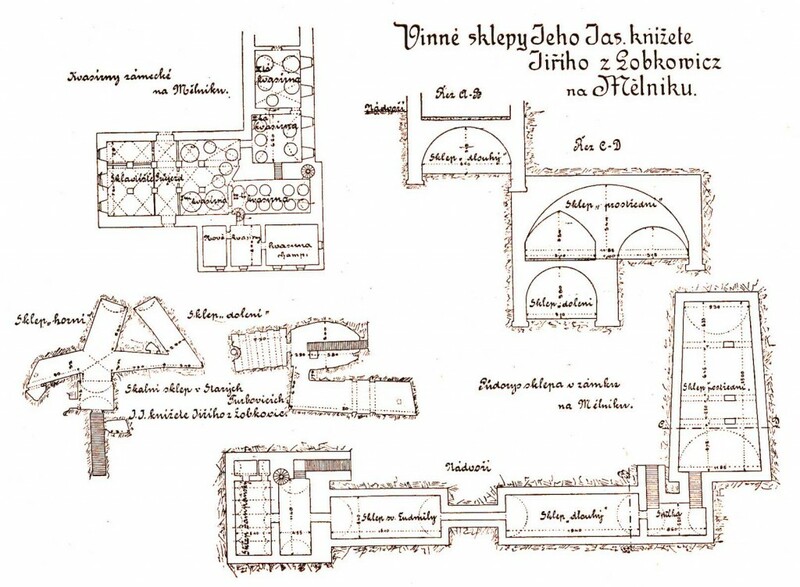 Extensive historical cellars of more than 1,500 m2 are situated on three floors beneath the Mělník Chateau, the foundations of which were built by Charles IV. The largest and most modern of them was built in the 1930s under the chateau courtyard. The chateau cellars have always been associated with the production of wine. It was a tradition that the baby got a new wooden barrel when a new Lobkowicz was born, and the barrel was filled with wine a year before their 18th birthday to have plenty of good drink when celebrating their birthday. The current attractions of the Mělník Chateau include organized tasting of the Lobkowicz wines which takes place in the chateau cellars. You can see, among other things, original wooden barrels with beautiful carvings.